Can you believe how fast the year has gone by? 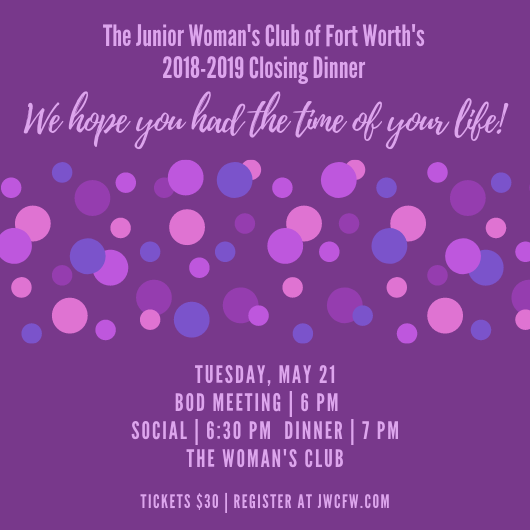 Please join us to celebrate this fabulous year at closing dinner! Social Hour/Check-In for all attendees begins at 6:30pm and the dinner will begin at 7:00pm. Tickets are $30 and will include social hour, a seated dinner and wine for your table. Register here to purchase our tickets! We hope you had the time of your life!